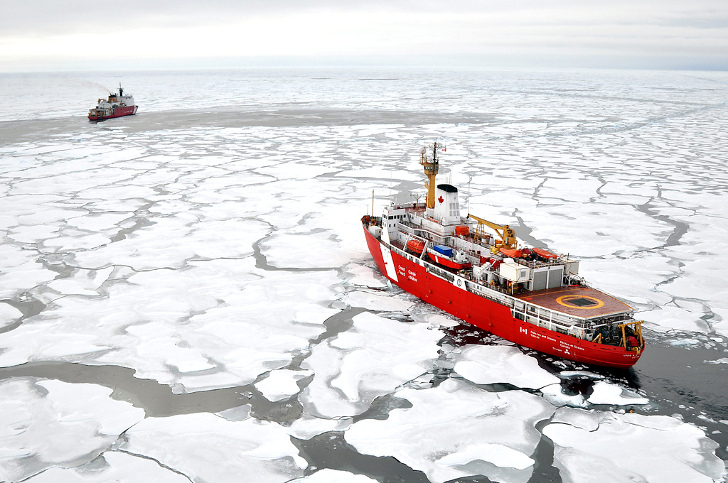 Global warming has cleared away the ice that plagued potential Arctic shipping routes, opening them up for speedier and more reliable trade. But without ice to act as a breakwater, huge swells are developing, making the shipping lanes dangerous all over again. In addition, the increasingly large waves serve to destroy the remnant ice, and pose a storm surge threat to low-lying coastal communities. In recent years, the formerly ice-bound shipping lanes north of Russia have opened to more traffic, speeding up shipping times, reducing costs, and having the potential to facilitate the export of Russian oil to Asia. This had had many an investor and oligarch excited, but the joy may be short lived. 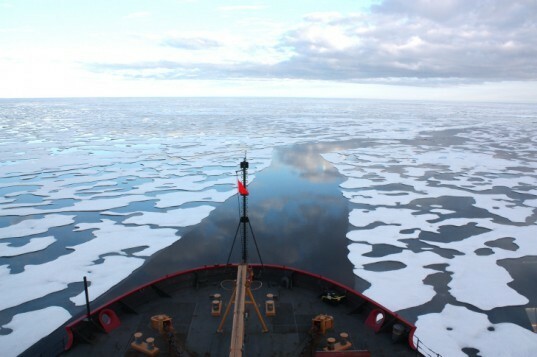 The last couple of years have also seen growing swells and 16-foot waves in the Arctic Ocean and surrounding seas, where previously the waterways were relatively calm. This has been caused by dissipating ice cover, which has allowed swells to develop as the sea has opened up. An increase in wave activity also breaks down the remaining ice cover, fueling the problem and contributing to rising sea levels.